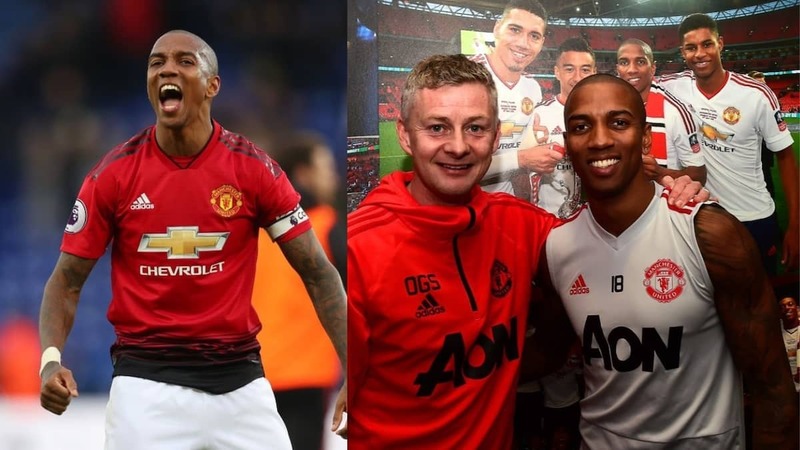 Manchester United captain Ashley Young has penned a new one year contract that will keep him at Old Trafford until the summer of 2020. The 33-year-old became a Red Devil on 23 June 2011 after completing a move to the club in a deal £15 and £20 million from Aston Villa. Liverpool were said to be interested in the winger as at then, but the player chose to sign for the then boss Sir Alex Ferguson. He has however won a Premier League title as well as an Europa League club since he joined the club eight years back. Young also has in his trophy cabinet an FA Cup, one EFL Cup and a Community Shield as rewards for his contribution to the success of the team. According to information on the club's official website, the England international has scored 17 goals in 227 appearances in all competitions for the Red Devils. Having grown through the ranks at Old Trafford, Young currently plays as full back for the team having started out as a winger on his arrival. Reacting to the news, Ole Gunnar Solskjaer said told MUTV: "Since I've come into the club, Ashley has been fantastic. "His attitude and his experience around the place is vital for us because we have got a young team. On his part, Young tweeted on his official handle that: "Exciting times ahead for this club and I feel proud to continue to be a part of it." He has scored once and assisted two other goals in 19 Premier League appearances for the Red Devils this campaign. Legit.ng earlier reported that Ashley Young could be on his way to joining Italian club Roma during the January transfer window. The 33-year-old's contract at Manchester United will expire at the end of the current Premier League season - although the Red Devils have offered him a one-year extension. But the former Aston Villa winger is reported not to be in rush to sign a new deal at Old Trafford.